i surfed the net after buying my bmw. was looking for a bmw forum...and found it! 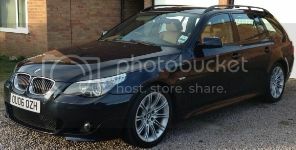 Found it on the PBMW website after buying the magazine. i googled bmw forums and this one looked the better one. And after hearing some of the stories about other foums im glad i chose this one! Hamman HM alloys, Coilovers, lip spoiler, Dave F induction kit, Led rear lights, black kidney grills, carbon roundals, stealth install. Drummer Boy wrote: i surfed the net [s]after[/s] just before buying my bmw. EDIT - Sorry, just noticed that you are a lady, bloke humour retracted. Found it on the website. ITS NOT SERIOUS UNLESS ITS SIDEWAYS!!! !